If the centers of power in international relations were ranked from most powerful to least powerful, the continent of Africa would likely rank near the bottom in many common perceptions of this power. The field of international relations and the study of power often takes no account of the power in Africa, and is generally centered on the Anglo-Saxon view of the power relations. This view often looks at armies, state bureaucracies, and political abilities that allow states to coerce or to co-opt other states. While the discipline of political science has thoroughly examined Africa, IR has traditionally been indifferent to the continent. Criticism of traditional IR views and values of power is not solely located in this paper and other scholarly work, but is also found in the entire literature of feminist IR. While studying the traditional literature of IR, I was often confounded that international relations theory did not take into account the African world and its nearly one billion residents. Why was there no historical analysis of power in the colonial world, and more importantly why wasn’t there a recognition that Africa’s place in the 21st century was rapidly rising as resource commodities increased in value and importance to developed country’s economies? What was it about Africa that caused this disregard in the literature? I was puzzled by this and was faced with a stark reality: people and scholars did not believe that Africa had any power in the international arena. This had to be an incorrect perception of reality based on a skewed understanding of Africa. How could I prove that Africa had power in the study of international relations when so many more esteemed scholars had come before me and not even considered it worth an examination? Thus I set out to examine this puzzle: why was Africa discounted in the international realm, and was it because Africa contained no useful power to use in the power structures of the world? 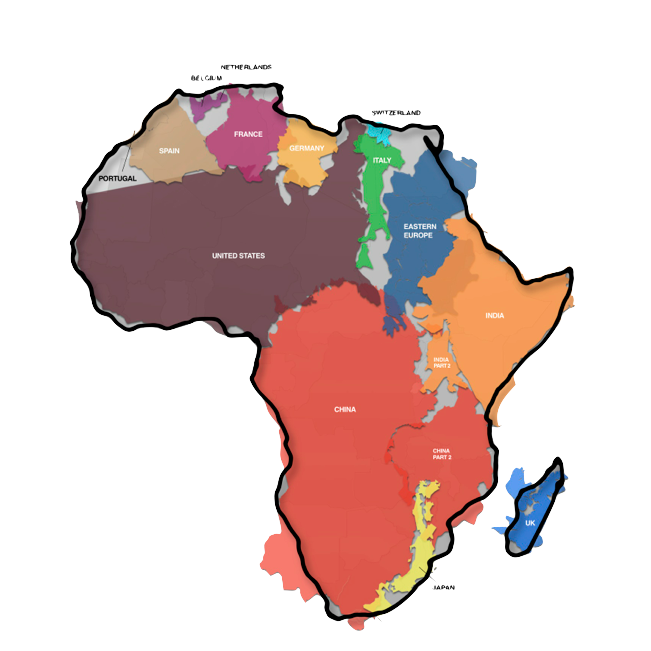 Searching for this answer caused my search to engage with different parts of the literature, as even those that sought to explain Africa’s place in world politics or economy often never examined why Africa’s power was considered negligent, and if it was indeed significant, why did no scholar show how much power Africa had and where it was located? From my experiences and knowledge of the continent I knew that there must be resources that were either untapped or had not be converted to traditional, realist conceptions of power. First, by examining the perception of Africa, here forth in this paper referring to those countries south of the Sahara, I could explain why power was discounted. Second, I looked for the sources of power that I knew existed but had been missed by much of the international relations theory literature. I used these sources of power to construct a framework that took the power that Africa in fact possessed and showed how it could be asserted in traditional power applications. Africans “don’t really make meaningful politics” was how one scholar summed up Western attitudes about the continent in the years following the Rwanda genocide. This assumption has marginalized the continent according to Kevin Dunn (2001). Dunn argues that this perception in Western media is found in the field of international relations theory both in the neorealism, neoliberal, and structuralist theories. The neorealism camp focuses only on the ‘great’ (defined by the West) power of IR. The neoliberal field assumes that because Africa has no hegemonic power, the prerogative of developed nations has no counterweight to allow Africa to resist their power. When a neoliberal focus on Africa is in fact applied, it assumes that Western liberal economies and politics should be developed on the continent. Finally, according to Dunn, the structuralists give the most credence to Africa, relying on it for examples of the current world systems failure and how the system exploits the continent. However, these theorists still see Africa as the periphery of the field of IR. Dunn summarizes that all of the accepted IR theories see Africa only as something to be “acted upon” (3). The marginalization of Africa in IR theory has been challenged lately in much of the same way that Feminist IR theorists began to challenge the discipline in the 1980s. These scholars suggest that because IR theory is based on the Hobbesian description of a state of nature that is violent, the emotions that become the basis for political action are fear and distrust. This development of political thought should be understood in the context of European state development and not taken as the rule for the world despite the seemingly all encompassing title: state of ‘nature’ (Caprioli 255) Additionally, as this paper will show, state development in Africa differed greatly from European development, thus Feminist IR theorists who show that the IR field is focused too heavily on the state can be a possible explanation for the misunderstanding of African power and states. These misunderstandings of the continent are fostered by the Western media reporting about the sensationalized stories of human suffering that results from corruption, famine, or civil conflict. This is an overall trend that has occurred in media since the advert of the cable news channel, but this causes a significant knowledge deficit to occur among the general populaces of the West, but also the world as a whole. This becomes a deadly circle of causality when the need to drum up support of aid for the continent is examined. All organizations involved in the aid system are forced to legitimize their efforts, and to find new causes to solicit funds in order to fight. When the president from the most powerful African nation is forced to go on a campaign to implore the G-8 nations to increase their aid contributions, it raises questions about who is most invested in keeping the view of Africa as a an aid dependent region (NYT). The ability for African politicians to gain or maintain political power through the use of aid is rarely discussed when debates occur on how much aid should be committed by the developed nations. There is a need to examine the source of Africa’s perception in the media and the link to organizations that seek aid money to see how those NGOs might actually be perpetuating the view of a famine ravaged, conflict filled, and corrupt Africa that currently exists. With Africa’s place in the American consciousness beginning with Stanley’s dramatic adventure to find Livingstone, the mosaic of Africa remains not only incomplete, but inaccurate (Hawk 7). Western perceptions of Africa will continue to remain the picture that the media portrays or what school text books write due to the lack of people-to-people diplomacy and cultural exchange between populations in Europe and the United States and the citizens of African states. Thus, arguing the importance of the ‘dark continent’ with the common citizen will remain futile in the near future. However, showing scholars of IR the need to place Africa in the current web of international affairs will be now be the task of this paper. While IR places Africa on the periphery, the continent will in fact occupy the center of many paradigms that will take the spotlight in the 21st century. These discourses will include the environment and climate change, migration, human security, economic development, new uses of information & communication technology. While Africa is gaining a larger share of trade with the global powers based on their massive mineral deposits, Africa remains the hub of world trade in drugs, arms, and ivory while also emerging as the last remaining refuge of piracy on the high seas. Even discussions around security will center on topics that have been regular concerns in Africa including women’s bodies, sustainable development, and the effects caused by climate change (Dunn 3). Now that the reasons behind Africa’s dismissal in common and academic discourse have been explored, there is a need to discover why African power has not been discerned by IR scholars. How this power is projected in Africa when compared to traditional state development in Europe and the Americas will be important to show IR scholars who may dismiss Africa’s importance. With traditional IR unable to detect the power that Africa has held in the past or currently, it is logical to speculate that the power in Africa exists in different or veiled incarnations on the continent compared to traditional power sources. Consequently, discovering the reasons for these differences will allow Africa to be placed in the proper context as IR evolves to understand the new power relationships and the sources of power in the 21st century. Taking the supposition that power in Africa is different than power in the rest of the world, we must ask if this is something that is derived from the culture of African societies or from the scars of the colonial experience? Deference is not given to African states by the international community in terms of global decision making because of the reasons explored above. This lack of respect has been perpetuated by a history of subjugation as well as debt and international assistance that has been needed to prop up weak states since independence. However, there is a change underway across Africa that is liberating states from their indebtedness and their economies are growing faster than the developed world. While their starting GDP numbers are still much lower that those in Europe and the Americas, understanding where power exists south of the Sahara will be important in order to engage and interact with African states in the 21st century. Thus an examination of the limited literature on African power is necessary in order to conceptualize current power resources. First, Jeffrey Herbst examines the state and its formation in Africa. He provides a look at how power was centralized in the pre-colonial era and what effects that had on power projection. Second, Michael Schatzberg shows that there are three faces of power in Africa that are not usually considered by the rest of the literature. These faces of power do not replace those that were conceived in the West, but he argues that faces of power need to be localized to understand local politics. Finally, Henry Bretton’s analysis of power and politics in 1970s Africa is used to show how uses of power 40 years ago are still relevant today by complementing his sources of power with current events. This will demonstrate that Africa’s power is not a new formation, but a rehabilitation of pre-existing sources. His examination of sources of power will allow this paper to transition into the presenting current sources of power in Africa with regard to international relations. This is done in order to prove to IR scholars that African states have power that can be used in the international arena. Jeffrey Herbst explains power in Africa in more traditional terms, but considers the unique perceptive of Africans in how power was imagined before colonialism. Precolonial African perceptions of power could be said to be conceived as radiating in concentric circles. Herbst backs up this claim by analyzing two rare African-drawn maps dating before the scramble for Africa. Both show power placed in the center of the maps and the boundaries of the territory shown further away from the center. Herbst explains the reason for this as being the difference in the relations of power and land in Africa when compared to Europe. While in Europe, strengths of power were set on the outskirts of territorial control in the form of fortresses or garrisons in order to prevent the seizure of their territory from rivals, African states concentrated power centrally. This principally stemmed from the fact that tracts of land to population ratios were much higher in precolonial Africa than 18th century Europe. This meant that sovereignty was disputed in the hinterlands of African empires because of the power of the state diminished as it moved further from the center. Thus, the diameter of the circles of power were based on the power projection abilities of the empire, which were often based on the distance a man could travel on foot. Twenty walking days was the typical extent of states that did not not have access to horses. This applied to the Ashanti Empire in West Africa and also to the Bamum sultanate in present day Cameroon. In other parts of the continent, geographic obstacles prevented state structures larger than a village from forming (Herbst 45-50). This availability of land and the lack of a need to defend it was a major factor in the difference of state power projection in Africa compared to European states. Technological capacities to communicate over long distances also scuppered attempts to launch state power over far distances. This inability to project power across large distances is paramount to understanding current power in Africa. This is especially important in regard to controlling the flow of populations and capital. This control became a hallmark of European statehood based on the strength of their borders, the lack of available land, and the monopoly on currency flows. These hallmarks did not exist in pre-colonial Africa, especially because of this centralization of power. The inability to apply coercive power in the outlying areas meant that any extension of power would be expensive. Thus states could not enforce their jurisdiction further away from the centers of power, causing an ambiguous nature of authority to develop in the border areas. With no clear differentiation of sovereignty between states, frontier areas were simply regions where multiple poles of power could exist. This caused African states to be unable to control the two most common flows across sovereign borders: people and money. With large amounts of land available, no mechanism was established in most precolonial societies to deal with influxes of immigrants or strangers. Secondly, the lack of a formal currency, shells and mineral rods were commonly used, meant the state could not regulate flows nor offer any method of currency exchange. This use of natural objects as part of the money supply meant that random inflation could occur rapidly through the opening of trade, or in the most extreme and final case, the engagement with Europeans. Thus currencies were often debased without recourse provided to the state (Herbst 52-53). African state development may have proceeded like that in Europe just a few centuries later as precolonial states were just starting to use the new technologies of communication and weaponry that were gained through trade at the end of the 19th century. However, the African development of the modern state was interrupted for nearly 80 years by the European conquest of the continent (Herbst 55). Thus it is important to recognize that the African conceptions of power did not just vanish during colonialism, but these conceptions of state power and its projection were much outdated to the technology in current mode when independence came in the later half of the 20th century. Thus, this precolonial explanation by Herbst is critical to understanding African power today. Michael Schatzberg warns against using Western definitions of power when examining Africa because there exists different political factors on the continent. Schatzberg writes about the three faces of power in middle Africa, the region containing Senegal, Cote d’Ivoire, Ghana, Nigeria, Cameroon, Democratic Republic of Congo, Tanzania and Kenya. These different faces of power result from different understandings of political legitimacy. Schatzberg decides on this belt of countries for various reasons, but this selection becomes important when attempting to make continent wide analysis as his study of middle Africa examines the diverse cultures and histories of the continent. Not only are various colonial histories included (English, French, Belgian), but also official languages (French, English, Swahili), formal religions (Catholic, Protestant, Islamic), location on the continent (West, Central, and East), and types of political systems (from authoritarian regimes to emerging democracies) (Schatzberg 6). Thus while Schatzberg is reluctant to apply his analysis to the continent as a whole, the variation in his sample countries allow the results to be given some legitimacy when talking about ‘Africa’ as a unit. The content of his research came from local newspapers and magazines, which allows him to avoid the traditional views on Africa constructed by other political scientists (Schatzberg 7). Schatzberg’s three faces of African power rest on the idea of a family. His stresses Western definitions of power are not wrong, but that these conceptions often run into the trouble of application in settings that are outside of their formulation. Since power is best understood by those that experience it, his contention is that the experiences of those people on the ground give scholars the foundations to construct the African faces of power. Thus, Schatzberg argues that three additional faces of power exist in middle Africa: eating, spirituality, and indivisibility. Schatzberg correctly identifies the issue of understanding power in Africa when he writes that there are two assumptions made by political scientists when examining non-Western politics. First, there is a belief that power definitions in the West will be applicable and second, power will be visible and subject to measurement. He makes the important point that power is assumed to reside in the same places, specifically the state. This assumption of power placement does not consider the local political arena (Schatzberg 39). The notions of power developed in the West are not wholly rejected by Schatzberg, but the commonly held views of the transformative and Newtonian aspects of power have to be paired with the representations of power that is intuitively and implicitly understood by Africans. These representations of power take the form of consumption (eating), religion and cosmology (spirituality), and symbols of power (indivisibility) (Schatzberg 40). In terms of consumption, or food, power is less linked to transformation and more to the capacity to consume. Thus the anthropological, and political, idea of a ‘big man’ is quite literal in meaning when talking about power (Schatzberg 40). This representation of literally large leaders has connotations that do not necessarily exist in the West. Many African leaders often talk about the ‘national cake’ when discussing the resources of the nation. Political parties often run on a campaign of a more equitable distribution of this ‘cake’ based on perceived historical inequalities. Schatzberg found many articles in his research discussing the national cake and using terms of consumption to discuss the gaining of political power. The third face of power according to Schaztberg is Africa’s unity and indivisibility. Many leaders sought to use discourse of unity and togetherness in order to not share power and also to derive power from other sources (both civil and spiritual) in order to strengthen their position in the political arena (Schatzberg 59). Symbols of chieftaincy, authority, and power were used by political leaders to help consolidate their power. Familial symbols such as the ‘father of the nation’ were also used to play into the strong bonds of kinship that exist in many of the cultures in the countries that Schaztberg considers (59). Schatzberg concludes his examination of African power in reminding scholars that considering the indigenous categories and concepts of power will show the vital parts of the political scene in Africa. Joseph Nye gives us a succinct definition of power that can be used in Africa when he writes that “power resources are simply the tangible and intangible raw materials or vehicles that underlie power relationships” (Nye 9). These relationships depend on the context, and in this study of African power the context is in the international realm. To find these resources on the African continent, a historical analysis is needed to gain a sense of the attempt to convert resources into power since independence. This conversion has so far been ineffectual or inadequate for structural reasons that are well known to Africa scholars: the ineffective governance of states, the civil conflicts that have been prevalent since independence, and the interference by colonial or Cold War powers in African affairs. However, the poor power conversion of Africa’s past is not in the scope of this paper. Instead by using Bretton’s outline of sources of power in the 1970s, a picture of constant, but under utilized power resources can be made. These historical sources will be complemented by present-day conversion into realized or potential power. While a more dated analysis of African power than the two other pieces of study, Henry Bretton explains the sources of power in Africa. He examines different sources of power in the international arena in the mid 1970s, meaning that the issue of debt and majority-rued South Africa are notable exceptions to this landscape. However, his sources are relevant in this review of the uniqueness of African power and why IR theorists should realize that Africa has power that can be converted to usage. First, Bretton shows how economic power on the continent is dependent upon friendly neighbor countries and the use, maintenance, and expansion of the rail lines. With much of Sub-Saharan Africa engaged in primary resource trade, much like today, the ability to get raw materials from the places of extraction to the ports was as critical then as it is today. If these transport links are not open and secure, resource rich countries are unable to convert their potential power. While Bretton shows that in the 1970s, Rhodesia and South Africa were main choke points for much of Southern Africa due to the high development of their rail lines, present day landlocked countries remain dependent on the stability and access provided by their coastal neighbors. Presently, there are new access issues for coastal regions as the ocean piracy around the Horn of Africa is a modern day hinderance on transoceanic trade. Just recently, Southern African countries invested billions of dollars in reviving their railways in order to relive the bottlenecks that exist in 2011. The Southern African Development Community is also designing a blueprint for regional transportation plans in order to move towards a common market, showing that Bretton’s emphasis on transport links as a piece of the economic power of African states remains relevant today (AFP). Second, Bretton examines the power of energy. In the period of time he examines, the sources of power production on the continent centered on hydro-electric dams on the Zambezi River at Lake Kariba and Lake Cahora Bassa (60). With Rhodesia controlling the plant at Lake Kariba, and the Cahora Bassa station located just across from Rhodesia in Mozambique, Ian Smith-led Rhodesia was at a geographically advantageous position to affect the power supplies of its neighbors or have its domestic supply disrupted by liberation armies stationed in Zambia or Mozambique. Bretton writes that the possession of energy supplies in Africa held a different meaning than in the rest of the world. With the rest of the world is able to exchange cash for energy, Africa was still divided between white and black Africa. Because of the lack of infrastructure that existed in some states, power-producing nations held a near monopolistic stranglehold over those nations that could not produce power domestically (Bretton 60). While the divisions between states in Southern Africa is no longer divided along racial policy, the possession of energy sources is still critical. Presently, it is South Africa that is in need of new sources of energy. This enables countries such as the Democratic Republic of Congo to gain a position of power in relation to the continental hegemon. In November of 2011, South Africa was close to sealing a protracted treaty with the DRC for the establishment of a hydro-power plant on the Congo River. The USD 10 billion deal would allow South Africa to tap a river network that has the potential of 100,000 MW. The Grand Inga Project will eventually have the capacity to produce 40,000 MW, more than twice that produced by the current largest hydropower dam, the Three Gorges Dam in China. This means that South Africa will have to engage in maintaining the stability of the DRC if their power needs are to be met (IPSNews). A final source of power that Bretton examines that may hold interest for the study of current power in Africa is the weakness of states. Bretton says this is a great irony, but the ability to choose your diplomatic or economic ally from a group of competing powers gives power to the weaker states as they bargain between the stronger states. In the 1970s, as is the case today, the natural resources held by African states is the source of this bargaining power and an object of attraction eyed by their allies (Bretton 85). Africa is still the primary source of many critical minerals including diamonds, gold, uranium, copper, and coltan. Additionally, petroleum is becoming the driving force of a number of African country’s economies in the 21st century as China becomes a larger consumer and the United States strives to diversify their non-North American imports. There are two impacts that stem from this abundance of natural resources. First, is the elevated position it gains for African nations in the international arena when faced by expanding economics of the West and the East. Second, is the affect on internal power relations, and how the ability to rely on resources as revenue to fund the state budget creates a disconnect from the state’s constituents. This second part has deeper historical consequences on state consolidation and requires further explanation to gain relevance to the appreciate the differences in European/American states and those in Africa. 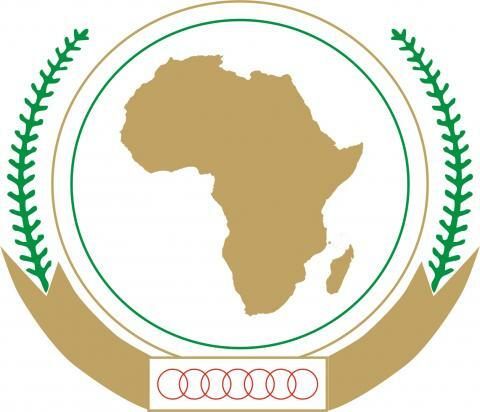 When colonial powers withdrew from Africa, a decision to retain the boundaries that were drawn up in Berlin was firmly decided at a meeting of newly independent states at the Organization of African Unity in Ethiopia (OAU Charter). This was important because the precolonial manner of power projection still existed when liberation movements took power in the colony’s capital. Many of these states were unable to project their power across the entirety of their internationally recognized territory. It was in the interest of African leaders to reinforce these borders as their inability to control their whole state made them vulnerable to predatory attacks. Thus the consensus decided upon in Addis Ababa helped strengthen the power of these new African leaders. However, the centralization of power in the capital meant that rural areas gained little economic or political benefit from independence because the same restrictions of transportation and communication remained. However, this time there was no vagueness or official self-governance in the hinterlands. Rural areas were unable to form political resistance to the state due to the state having consolidated military power during the hand over of colonial armories. However, this disconnect would not last long, as the periphery eventually struck back at their exclusion from the economic benefits enjoyed by the urban centers. When Yoweri Museveni took power in Uganda in 1986 by emerging from the bush as the victor, a series of states saw rebellions led from the rural areas challenge power in the capital: Rwanda, Democratic Republic of the Congo, Ethiopia, Liberia, Sierra Leone, Somalia, Republic of the Congo, and Chad (Herbst 254). Thus the key feature of European state consolidation, the struggle over territory between states, did not occur in Africa post-independence. Instead, internal struggles were prevalent despite the traditional Weberian requirement of the state holding a monopoly on violence pre-1986 (Herbst 108). This is crucial because the lack of authority of the state outside of urban settings meant the ability to collect taxes was severely limited. In European state development, the need to raise revenues from the populace to execute continental wars assisted in the consolidation of the state because of the social goods the state had to provide in exchange for taxation. This did not occur in Africa because of the ability to monetize mineral extraction. This followed the colonial model of taxing trade rather than land taxation. Additionally, Western powers kept African states solvent through the massive transfers of aid. Thus as Herbst writes “a reliance on indirect taxation and nontax revenue streams attenuates, if not eliminates the link between government taxation and popular support” (131). This understanding of the state’s link between the population and government provides the final key to understanding the differences in sources of power between Africa and the world. Not only do differences emanate from pre-colonial state formation, but they also take different faces of power as Schatzberg explains. While the sources of power in Africa are similar to those used in the rest of the globe, especially economic hard power derived from mineral resources, there are structural differences that inhibit the African state to act like those in the west, partly due to the sources of power. Accordingly, the reasons behind Africa’s exclusion from IR literature and public perceptions of power lie first in the differences of construction of the African state and second in the unrealized center of discourse Africa holds in certain paradigms of power. Additionally, Schatzberg provides localized perceptions of power on the continent to add to our understanding of the faces of African power. With Dunn, Herbst, and Bretton filling in the socio-economic and historical reasons behind Africa’s repudiation as a holder of power, they also demonstrated that there are in fact power resources that can be used in traditional IR theory. To explore how these power resources can be used a conceptual framework of understanding African power conversion will be needed. Now that the puzzle of African power and how it is different from Western power has been decoded, the sources of the differences can be applied to international relations. The power that Africa can gain in the international arena comes in two forms. These forms are seen in the works of Herbst, Schatzberg, and Bretton where two primary themes run through their analysis of African power. The first is the notion that the world needs African nations because of their mineral resources. This economic power can be used by African states to coerce the consuming powers of the world into agreements and compromises that they would not otherwise acquiesce to if Africa did not possess this power. Secondly, the power of culture in Africa is seen in the state resemblance of the family structure and the unity that emerged on the continent as various liberation movements banded together in order to achieve independence. This interconnectedness, sometimes expressed as the concept of ‘ubuntu’, is displayed in the power of civil society on the continent especially in South Africa. Additionally, cultural sources of power are emanating from places like Nigeria in the form of the film industry known as Nollywood. This combination of hard and soft power resources can be used to elevate Africa state’s standing in the world and remove the image of a poor, aid dependent, conflict ravaged continent. Thus, now that historic and modern day sources of power have been identified above, the analysis of how African states can use this power in the arena of international relations can be undertaken. The two areas that Sub-Saharan Africa can engage the world in are related to two of the three faces of power as discussed by Steven Lukes in his seminal Power: A Radical View. Nye gives a contemporary break down of these faces when discussing the future of power. The first face, developed by the political scientist Robert Dahl, focused “on the ability to get others to act in ways that are contrary to their initial preferences and strategies” (Nye 11). This can be seen in the decision of African states to grant access to their mineral wealth and extract concessions from firms originating in more powerful countries. The sovereignty of the state accords this territorial claim and thus allows the African state to profit from the power resources that are literally in the ground. The second face of power was developed by two political scientists at Temple University, Peter Bachrach and Morton Baratz. This includes agenda setting and the framing of ideas. If others’ preferences are restricted by the options presented to them, then those constructing those options gain an amount of power over the others. By keeping issues off the table, powers can shape the course of actions of other actors (Nye 12). This face can be accessed by the power of African unity that emerged from the liberation wars of the 20th century. The block of power that Africa as a unit now possesses is comparable to other great powers. In international organizations, the African-bloc could assert their power through their consensus on certain issues. These two faces will be explored in the section below to link the power resources that Africa possesses to this conceptual framework to explore real-world scenarios where African power can be used. Finally, a policy prescription for the combining of these two sources of power will be proposed to present the first examination of Africa’s smart power potential. The first face of power, that of coercion, may seem like an unlikely ability of states that appear as weak as those on the African continent. However, because of the need for the American, Chinese, and European economies to grow out of their current downturns, they will undoubtedly need to increase their production of products that range from parts for the International Space Station, to Ford Mustangs, to iPads. All of these require precious resources in terms of their production or distribution. Even if the world emerges from this downturn by entering a new Kondratiev wave, the new technology will undoubtedly need a mineral or resource that exists in the African soil in abundance. The need for these powerful actors to provide stimulus for their populaces is growing as stagnation remains. Each day that passes increases Africa’s power when it comes to negotiating deals for mineral extraction, technological exchange, or integration into organizations such as the UN Security Council, G-20, or WTO. While some of African states’ growth is based on resource extraction, these countries have consolidated their power enough in order to not be as desperate to sell their natural wealth as they were in the 1990s to spur their economies. As Africa diversifies from natural resource extraction their ability to hold out for better terms increases. African leaders will have to continue to make this diversification a priority as it will increase their power on the world stage. With limited supplies of resources, African power will continue to grow as the demand for oil, rare earth minerals, and gold remains on an upwards course. The second face of power, that of agenda setting, can be used by African states by retaining the solidarity in international organizations that has existed since decolonization. Africa’s states make up 1/4 of the world’s nations, thus giving the continent a significant voting bloc to be pandered to if their unity can remain. This consensus may coalesce in the form of the African Union, but it may also be through the regional trade agreements that are beginning to take shape in West, East, and Southern Africa. Regardless of the form, the unique historical linkages that exists in Africa continue to form the basis of continental foreign policy into the 21st Century. No other region of the world had such a coordinated resistance/liberation movement and worked so closely together across nations to meet the goals of independence. All of the lessons learned from pooling resources were used to engage minority-led South Africa with the Front Line States. That organization eventually formed the present day Southern African Development Community. This solidarity is also seen in examples that frustrate non-African states. 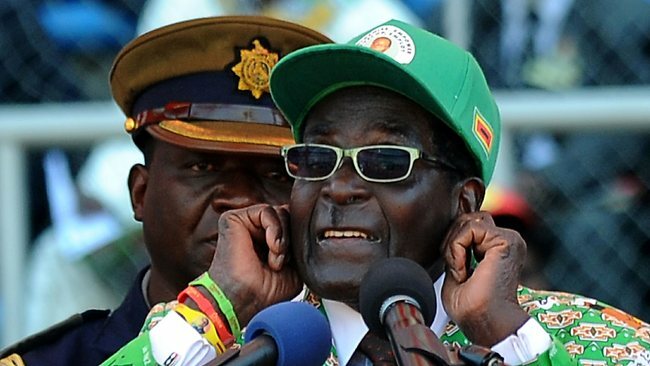 The refusal by most Southern African leaders to criticize Robert Mugabe has been cited as one of the factors that allow him to stay in power and maintain a hold on legitimacy. However, the media perceptions of Africa can be used in the continent’s advantageous if unity is achieved. In any debt restructuring, conferences on the environment, or more equal representation of non-Western states in international organizations, the African bloc is difficult to rally against. This is due to the inferior perceptions held of the continent, and thus any aggressor looks like a bully. This only works if African states use their liberation-era stances in fending off countries that seek to penetrate their union. Constituencies would find it hard to rally behind their government if it was opposed by a large majority of African countries. The telling indicator of this unity will be at the 17th Congress of the Parties held in Durban, South Africa. Consensus if generally strong among African states on the action to be taken to advert the significant consequences of climate change. Will the African bloc be able to extract compromise from the United States and China based on their strength in numbers? Another potential sign of the success of unity surrounds South Africa’s possible ascension as a permanent member of the UN Security Council. The Republic is usually most often mentioned as the African candidate for the seat, but countries like Nigeria and Morocco could challenge. African countries could coalesce around South Africa and force it to be apart of the expanded permanent members, or the African bloc could splinter between the three poles of power on the continent. The African voice, backed by a sense of unity and the power of economic resources, can thus be a powerful tool to make other actors take note of the continent’s goals and desires. African leaders already understand the power of solidarity in international relations having won independence for the entire continent, but they will have to consider the legitimacy of their stances on international crisis and in decisive moments, especially internal affairs on the continent. Their resistances to NATO engagement in Libya and French military intervention in Cote d’Ivoire both backfired when Western backed military operations led to the stabilization of both conflict-afflicted nations. The African Union has seen its credibility diminish as the consensus around the Global Political Agreement in Zimbabwe increasingly seems like a move to prop up a prickly, out-dated dictator in the form of Robert Mugabe. The offering of AU mediation was rejected by both rebel movements in Cote d’Ivoire and Libya, who subsequently triumphed and took power. Thus the AU risks their legitimacy abating by continuing to support its ‘African consensus’ on conflict resolution. Realizing a previous position would not increase its power, the United States made a calculated decision in Egypt to switch support from the Mubarak government to the demonstrators in Tahir Square early in 2011 in order to remain a player in the post-Mubarak government. Taking this example, African leaders and their consensus organ the African Union, need to make sure they fall on the right side of history or at least stand behind their principles or else they risk losing the ability to move as one voice in the international realm. This paper sought to show IR theorists and scholars that despite popular belief about Africa containing no power, the continent did in fact possess sources and usages of power that could be deployed in contemporary IR power conversions. To make this apparent, an analysis of why Africa had been ignored in the IR literature was conducted. A connection was made to other critiques of the IR field made by feminists. Much of their argument that IR focuses too much on the state power, helps explain why Africa previously has been discounted. This analysis was connected to popular perceptions of ordinary citizens and how the news media used sensation rather than comprehensive coverage to educate Western populaces. These perceptions were shown to skew scholar’s perceptions of Africa and that in fact future discussions about international relations topics may in fact center on the Africa continent. The causes of the neglect of African power was examined through a literature review, which showed that African power appeared in different forms due to differences in state formation and political culture. Sources of power in Africa was inspected from a historical and contemporary viewpoint. This inspection showed that Africa in fact does posses, and has always possessed, traditional sources of power. These reasons for the failure to convert this power are numerous, but despite the general perception of a rise in economic might on the continent, the materialization of African power sources was shown to not be a recent phenomenon. These sources of power allowed for a creation of a conceptual framework for using these power origins and how they could be used on the international stage in a way that would appear obvious to IR scholars. Examples of how Africa could use this power was placed in two of three widely recognized faces of power. This small examination of African power has answered the question of why Africa is not taken into account by the wide literature on international relations, and how in fact despite common perceptions, Africa does possess power, both unique to the continent and in forms recognizable to the West. It will take African leadership to utilize these forms and sources of power to raise the continent’s standing the world. However, based on the strength and abundance of these factors of power, it is undoubtedly inevitable that Africa will soon by recognized as a ‘great’ power by not only the IR literature, but by the whole world. Bachrach, Peter and Morton S. Baratz. “Two Faces of Power” The American Political Science Review, Volume 56, Issue 4 (Dec 1962), 947-952. Hawk, Beverly, ed. Africa’s Media Image. Praeger; London, 1992. Dunn, Kevin ed. Africa’s Challenge to International Relations Theory. Palgrave; New York, 2001. Herbst, Jeffrey. States and Power in Africa. Princeton University Press; Princeton, 2000. Nye, Joseph. The Future of Power. Public Affairs; New York, 2011. Schatzberg, Michael G. Political Legitimacy in Middle Africa. Indiana University Press; Bloomington, 2001.